Maine voters appear to have rejected a ban that would have prevented hunters from luring black bears with day-old doughnuts and other pastries. With 514 of 572 precincts reporting as of 1:00 p.m. ET on Wednesday, 54 percent of the electorate voted against Tuesday’s bear-baiting referendum, while 46 percent voted for it, according to the Bangor Daily News. A spokesperson with Maine’s Bureau of Corporations, Elections, & Commissions told National Geographic that the official election results won’t be released for 20 days and that the Bangor Daily News is the state’s unofficial source. “Do you want to ban the use of bait, dogs, or traps in bear hunting except to protect property, public safety, or for research?” the ballot question asked. Proponents of the ballot initiative to outlaw the practice say it’s just plain cruel, while the tactic’s defenders say it’s a vital tool for controlling the state’s bear population. 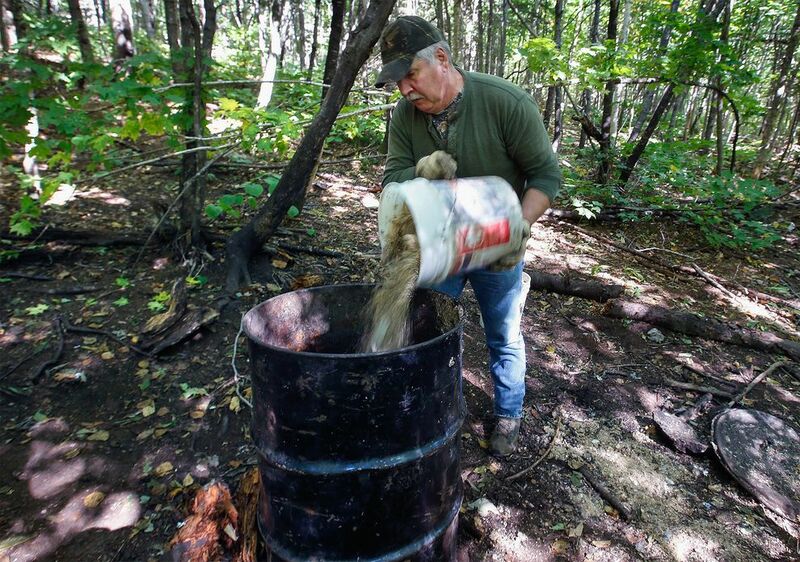 Maine hunters kill about 3,000 bears every year, the majority at bait barrels. The fate of two other legal hunting methods will also be decided by the referendum: trapping the animals with foot snares and cage traps, and tracking them with dog packs. If the ban is rejected, only “fair-chase” hunting, as the old-fashioned stalking method is termed, will be allowed. “Hunting helps keep the bear population stabilized, which is what the public wants,” said Randy Cross, one of two bear biologists with the state’s Department of Inland Fisheries and Wildlife, before the vote. But ban proponents believe that baiting, trapping, and dog hunting are “cruel and unfair,” said Katie Hansberry, a wildlife advocate with the coalition Mainers for Fair Bear Hunting, which gathered the more than 78,000 signatures needed to put the issue on the ballot. The coalition includes the Humane Society of the United States and the Wildlife Alliance of Maine, among others. Of 32 bear-hunting states, Hansberry says, “Maine is the only one that allows all three of these cruel and unfair practices. It’s a black mark on our state.” Baiting for bears is common—it’s legal in 23 of those 32 states—but it’s a particularly touchy issue in Maine because the species’ numbers are growing. About 30,000 black bears roam the state’s 42,905 square miles (69,050 square kilometers) of bear habitat. In comparison, about the same number of black bears are found across Washington State’s 184,827 square miles (71,362 square kilometers). Maine’s state wildlife biologists staunchly oppose the proposed ban, saying it will actually lead to more problems between people and bears as both populations grow. (See pictures of U.S. hunters.) “These are our most effective management tools,” says Cross, who argues that they remain the best way to control the bears’ numbers. If Maine hunters don’t kill between 3,000 and 4,500 bears each year, he says, the animals’ population will soar—causing many bears to die from starvation and disease. “That’s not what people want to see,” Cross says. This article was first published by National Geographic on 05 November 2014.